Back Office Pro (BOP) is a reputed back-office support provider that caters specifically to professional photographers and photo studios across the globe. At BOP, we aid internal editing teams during project influxes or skill shortages with back office support. Our skilled professionals deal with unexpected blemishes, lighting problems, or other issues that mar an otherwise perfect photo, with a wide range of artistic filters. Contact us today for image manipulation back office support at the lowest costs. 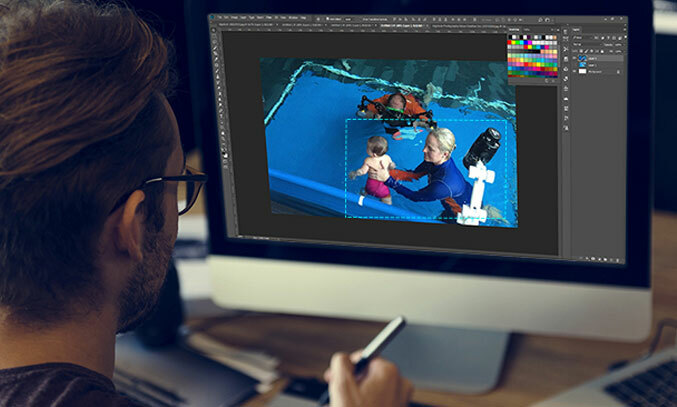 Ability to execute clipping path, masking, transparent background, lighting, and contrast adjustments, refine image edges, handle noise, adjust contrast, correct blur, etc. Working knowledge of subject removal and restoration, for example -recreating damaged photographs, detailed image manipulation,and comping, changing backgrounds, merging of multiple images, clear-cut (deep etching), raw file conversions,etc. Able to quickly identify image flaws and correct wrong image alignment, distortions, etc. Highly proficient in Adobe Photoshop – Layered Files, Alpha Channels, Colour Profiles, Paths, Masks,etc. Strong knowledge and experience contouring hair and grass, creating shadows, adjusting/removing reflections,and highlights. In-depth understanding of lighting and color adjustment. We provide a full range of auto image manipulation services such as cropping and enlarging, edge removal, and more. Our artistic conversion services include taking an image and converting it into an oil painting format, pencil sketch format, and more. We offer accurate and useful people insertion service that can help you add a missing person to an image at a later date. At Back Office Pro, our image editing specialists expertly remove “red eye effects” that change the coloring of eyes in images. We effectively cut out the existing background of your images and replace it with a background that matches your requirement. We are experienced to crop an image down to the essentials and enlarge without distortion to create a powerful and compelling image. Among our bucket of specialty offerings, our edge removal services include the removal of jagged edges or any other distortion from an image. To make your image more effective, we expertly remove or place objects from your images, as per requirements. Blemishes ruin the effect of a valuable image. At BOP, we effectively remove spots/wrinkles to enhance the quality of your images. Our experienced photo editing experts provide copyright protection for your images through entirely invisible watermarks which would be extremely difficult by an infringer. Qualified Professionals All our image editors are well trained and have prior photo manipulation experience. They undertake scheduled training from time to time to keep their skills sharp and incorporate the latest techniques on every project. Quality Checks We adhere strictly to ISO standards, and our quality assurance team conducts multi-tier quality checks to ensure the quality is of the highest standard. One stop Image Manipulation At BOP, we skillfully manipulate any image to create the desired results, from simple edits to complex retouching and manipulation BOP can assist with any need. Turnaround Time Our minimal turnaround time depends entirely on the scope of a project. Back Office Pro is a leading back office provider offering creative photo manipulation services to global clients for over a decade. Call us today to discuss your photo manipulation ideas. Get a free quote or opt for a free trial. Fill in a contact form, call or email us, and receive a free quote within one business day.